Consider, for a moment, some of the great cities in the United States of America. Washington, DC should be on the list (of course; it’s where we call home!). You might also think of New York, Los Angeles, Boston, San Francisco, or Pittsburgh. Yes, you read that right. 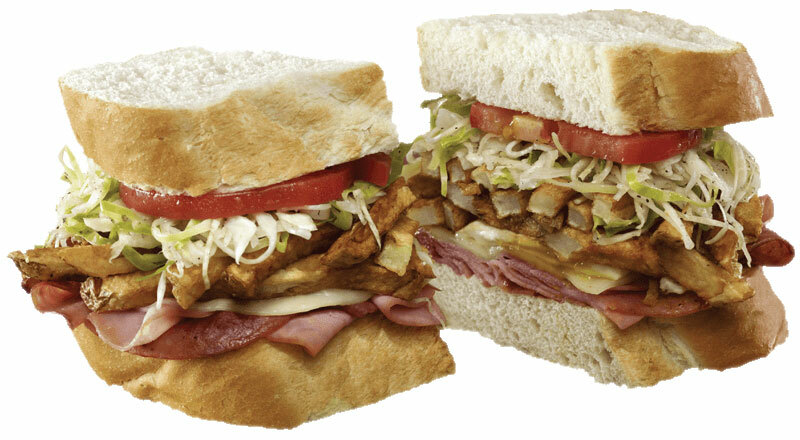 You might think of Pittsburgh. 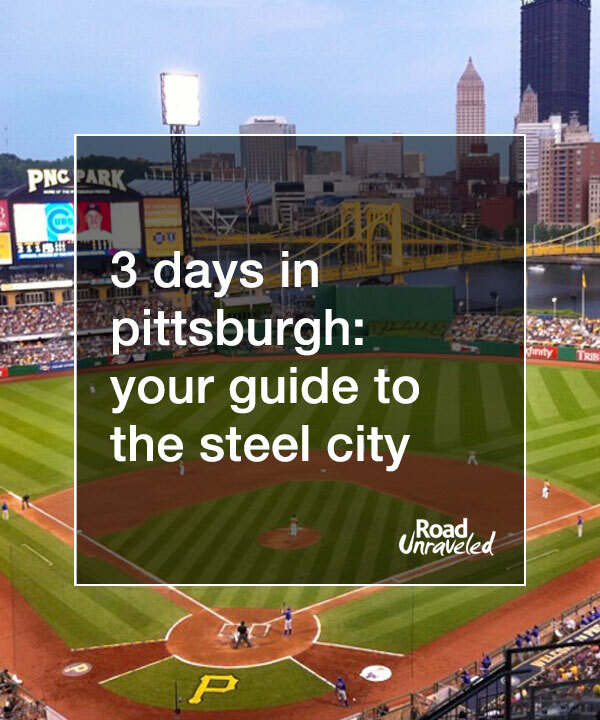 And if you’re not- if instead you’re thinking, “Why?” or, “for what reason?” or even, “where’s that?”- let this destination guide to the town known as “Steel City” introduce you to a great place to host your next vacation. This has been a favorite of mine since I was a student at Carnegie Mellon University (Andy is also an alum!). The museum walks you through his entire life, complete with insights into his influences and examples of the paintings, films, and sculptures he created during each decade. 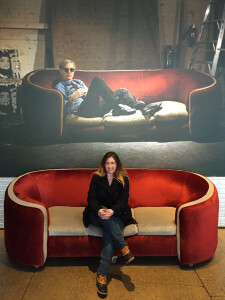 Be warned that you won’t see many of his most famous works; collections including his Campbell’s Soup pop art were sold at auction and are primarily housed in private collections now, but you’ll still be exposed to both well-known and lesser-known samples of the silk screens on canvas that made him so iconic. Admission is $20 per adult, and you’ll need 1-2 hours to take in the seven floors, one of which is a temporary exhibit featuring another artist’s work. 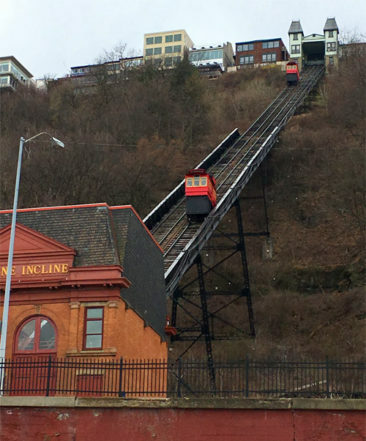 Take a ride with history with a visit to the Duquesne Incline, which has operated since the 1800s. 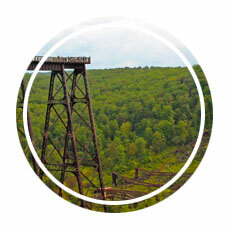 Located in Pittsburgh’s South Side, it was originally constructed to move both cargo and people up and down Mt. Washington. Operating at a steep 30-degree angle, the 800-foot ride to the top always elicits a few deep breaths (and joyful squeals from children as the cars chug toward the top of the hill!). 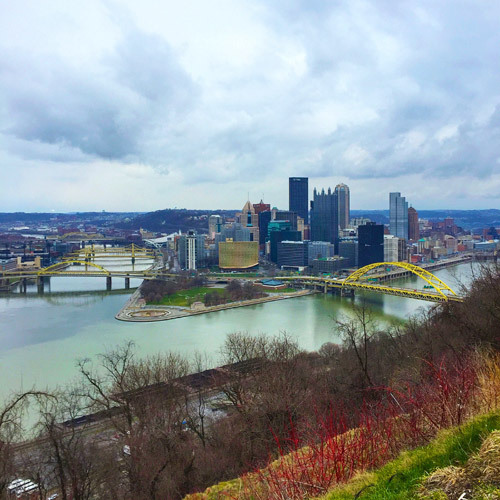 The views from the top are spectacular, though; you’ll be rewarded with a panoramic view of downtown Pittsburgh and the surrounding neighborhoods. The Duquesne Incline runs from early morning to very late at night, and a round-trip ticket is just $5 per adult (exact change only! 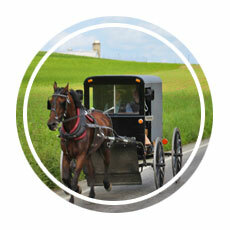 ), so consider two rides during your trip- one to see the city in daylight, and another to see it lit up at night. We would be remiss to not mention Pittsburgh sports. Pittsburgh sports fans are notorious for their passionate support of their Football, Baseball, and Hockey teams. 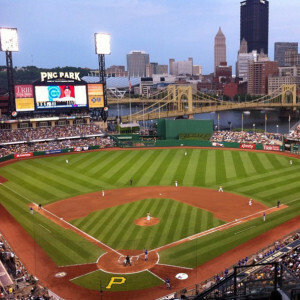 If you have a chance to catch a National Football League, Major League Baseball, or National Hockey League game when you visit Pittsburgh, it’s definitely worth the time and money. 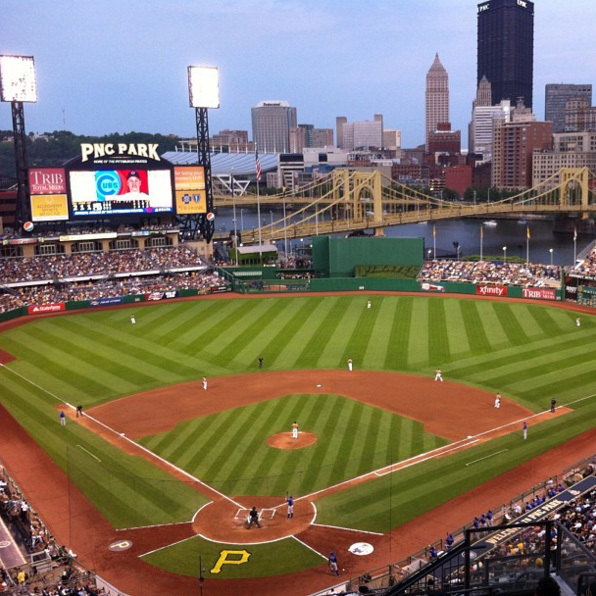 Our favorite is catching a baseball game at PNC Park, home of the Pirates. There really aren’t bad seats, but our favorites are along the third base line, where you’ll enjoy the skyline looming large over the ball park- and a great view of the fireworks they often shoot off at the end of a game. Splurge on a hot dog and a beer and enjoy a relaxing time in the city! Located in Schenley Park, the Phipps Conservatory is Pittsburgh’s answer to its unpredictable weather and long, cold winters. Inside it’s always spring; the flower and plant exhibits are beautiful and can be both refreshing and renewing if the city turns rainy or snowy. 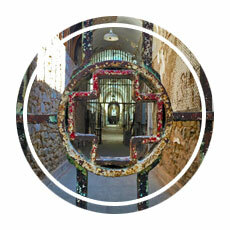 The annual spring flower show is always spectacular, and new exhibits are introduced regularly. Adult admission is $15, and you can easily plan to spend half a day enjoying the sights and smells of the pretty flowers. 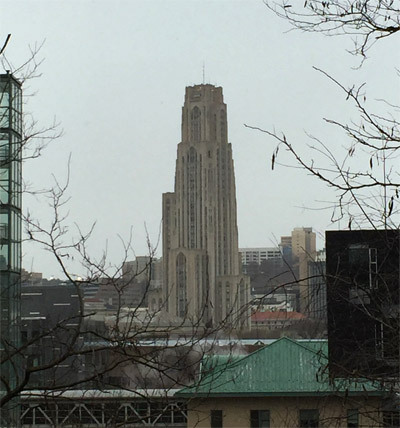 The University of Pittsburgh’s Cathedral of Learning is the second tallest university building in the world, so it’s no surprise you can see it from many places in the city. 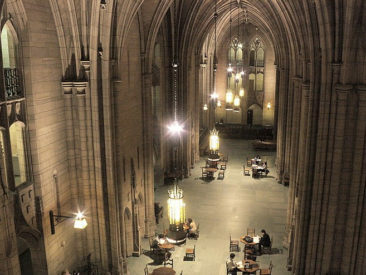 Many Pitt students take a class or two in the building, but it’s worth a visit even if your college days are behind you- there are 30 Nationality Rooms that were donated by the many cultural and ethnic groups who built the city, and the public can take self-guided tours when classes are not in session. The strip is an eclectic part of Pittsburgh that could be considered home to the whole world. A walk through “The Strip” will connect you with food and goods from many corners of the globe; the sights and smells are reminiscent of many of the touristy streets we have walked where street food and restaurants dot the landscape along with people selling souvenir t-shirts and hand-woven scarves and bags. It’s a fun place to spend a weekend morning as you taste, shop, and people-watch your way through the streets. 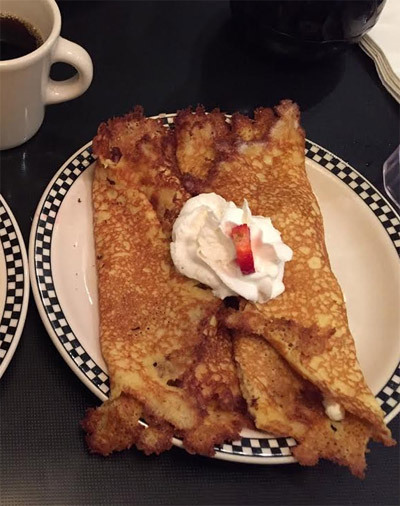 Pittsburgh has become a serious foodie destination- we make it a point to try something new every time we visit, but there are a few staples that are in our permanent rotation. A staple of my college experience and it continues to be a place I stop into when I am hungry in Oakland, just south of Carnegie Melon’s campus. 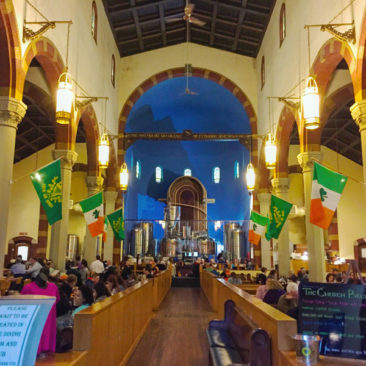 They have an extensive beer list and some very good pizza, but the reason to go is the late night half-priced menu. 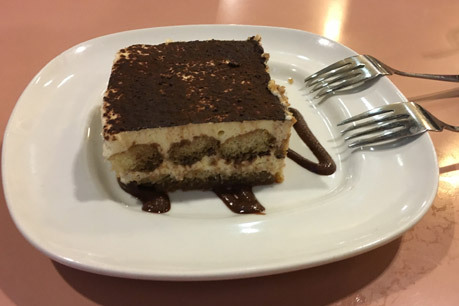 Much of what they offer is discounted after 11 PM, so if you’re jetlagged or ready for a second dinner, it’s a good place to enjoy some cheap but tasty snacks. Try the Rollafatty, which is pepperoni and cheese wrapped in pizza dough and served with a side of marinara, and the sweet potato fries. One night in college a group of friends and I ordered one of each half-priced appetizer and feasted for a long time; consider that strategy if you can’t decide what to order. Dinner for two (with a couple of beers): $35 – and half that if you go after 11! Mad Mex, located just a few blocks away from Fuel and Fuddle, serves half- priced burritos and enormous “Big Azz” margaritas after 11 PM. If Mexican food is calling to you, head to Atwood Street to satisfy your craving. The Westin Convention Center is great- comfortable, convenient, and in a great location. We stayed here while in town for a Pirates game and were able to walk to PNC Park from there. The beds were very comfy, and we really enjoyed our stay. Arguably the best hotel in Pittsburgh, and a stay there will show you why. Everything from the room to the service is impeccably managed and attended to, and the downtown location is terrific. This hotel is located in Oakland and is close to Carnegie Mellon University and the University of Pittsburgh. It was my go-to hotel when I booked hotel rooms for parents and friends who visited me when I was living there, and even today it’s a favorite place to stay when we are in town. Home to the annual Groundhog’s Day celebration! Punxsutawney, Pennsylvania- where the town’s most famous resident is a weather-forecasting rodent. Phil the Groundhog awakes from his slumber each year on February 2 to let us know if we will have an early spring or six more weeks of winter. 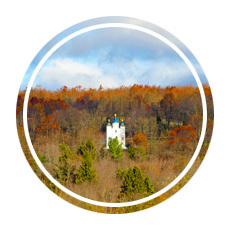 If you time your trip just right it’s a fun place to enjoy some local color and take part in a beloved tradition. 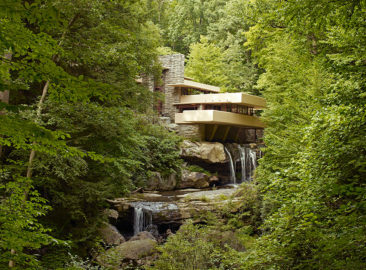 Frank Lloyd Wright’s Fallingwater house (which we featured in our post 8 Lesser-Known Tourist Sites to Visit in the US) is just an hour and fifteen minutes away from Pittsburgh. The site offers a great tour of the beautiful home built by Frank Lloyd Wright into its natural setting. 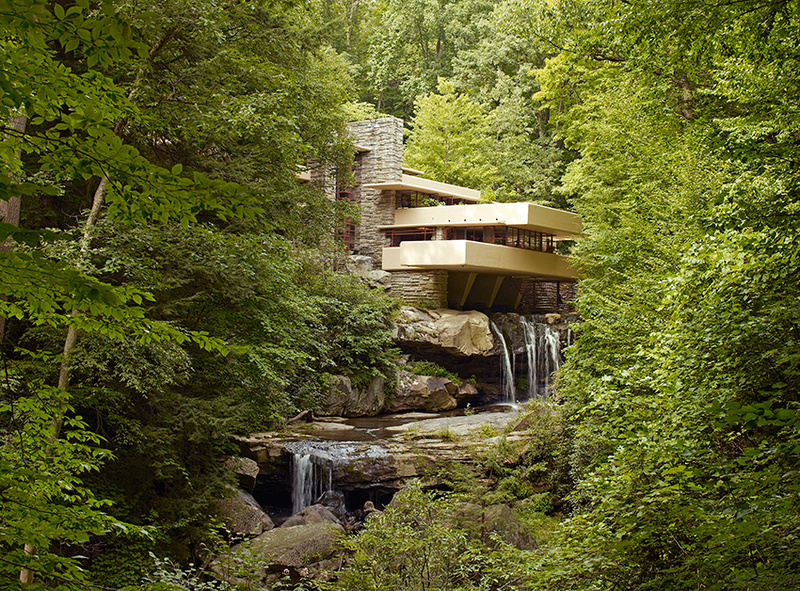 Another Wright home, Kentuck Knob, is not too far away, and if you’re looking to spend some time outside Ohiopyle is a great place for some hiking, biking, or even whitewater rafting (I went once and both lost and found a shoe- see if you can do better than me!). Why is this important? Keep an eye on the academic calendars when you plan your trip- Pittsburgh is a busy place in late August, when students move into their dorms, and in April and May when finals week, graduation, and moving out adds more traffic to the streets and people on the sidewalks and in the restaurants. The city is very quiet in the winter, when students are home for winter break, during spring break, and during the beginning of the summer (though by mid-June students are back in town for summer sessions). Pittsburgh is tied with Portland, Oregon as the second rainiest city in America, so expect the skies to open at least once or twice while you’re there. An umbrella will keep you dry and on schedule, so you won’t need to worry about changing most of your plans. Pittsburgh has an extensive bus system, and I spent hours and hours of time in college waiting for them. If you drive in or rent a car you’ll save some significant time. Many hotels charge for parking, but free parking or metered parking is widely available throughout the city. 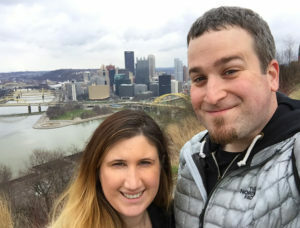 Plan Your Trip to Pittsburgh! Our trips to Pittsburgh have us convinced it’s one of the best cities in the United States. If you plan a trip there, let us know! Comment below and tell us which tips helped you plan a great vacation!